PBS KIDS has a whole new set of episodes that celebrate Earth Month that will begin airing TODAY! Any Wild Kratts lovers out there in MommyMaestra readerville? I have two here at my house. So they've been ticking down the days ever since they heard that WILD KRATTS, NATURE CAT, and READY JET GO! will all be airing new episodes this week. And, of course, we are especially excited that Wild Kratts will be featuring flamingos in their episode today. In fact, they filmed part of this episode at the bird park where my husband worked before we moved back to Texas. So cool! 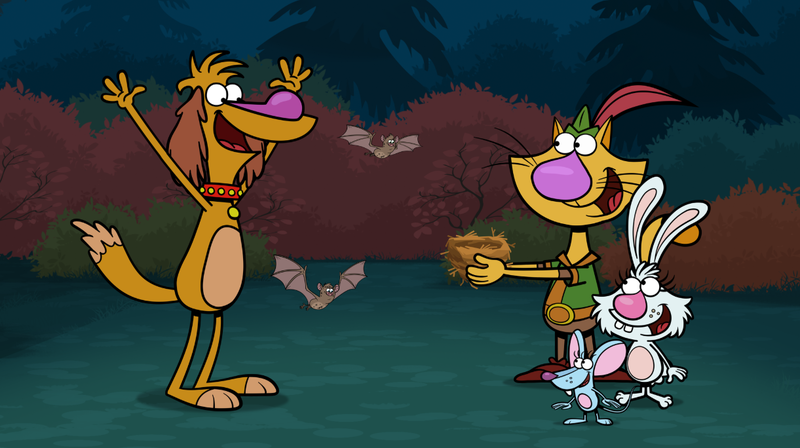 It's also exciting that there will be the first-ever crossover episode of NATURE CAT that includes a guest appearance from Chris and Martin Kratt of WILD KRATTS. The awesome thing about these episodes is that they inspire kids to go outside, explore, and have their own nature adventures. So don't miss out! If you have little ones who are PBS fans, be sure to watch your favorite shows all this week!